Do you have a “black thumb”? Do you love houseplants but just can’t seem to keep them alive no matter what their species or condition? Are you worried about getting new plants because being in your home is a death sentence for anything green? Worry no more! This list of foolproof houseplants will help you select and grow houseplants with confidence. Although all plants look and grow better with optimum care, these plants are some of the toughest you can find and will tolerate more abuse and neglect than most others. 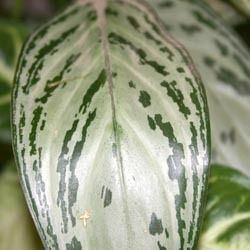 Position plants in a brightly lit room, but out of direct sunlight that can cause burns on the foliage. If the plant is stretching toward the window – turning to face the light – it can use more sunlight. Use good quality potting soil appropriate to pot plants, and fertilize them regularly to provide adequate nourishment. Reduce fertilizing during the winter months when growth naturally slows. Water plants regularly, but allow the top 2-3 inches of soil to go dry between waterings. The pot should have drainage holes, and never let a houseplant sit in a saucer of water – that can lead to root rot. Group pots together to increase the humidity around the houseplants and reduce the yellow tips of leaves (a sign of dryness in the air). Use a wet pebble tray or mist plants to raise humidity as well. Dust plants 1-2 times per month to keep their leaves bright and pores clear for better gas exchange. Be gentle, however, and do not use waxing sprays or other dusting chemicals on houseplants. 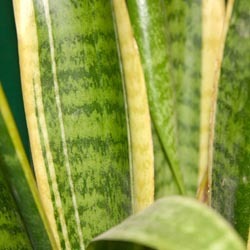 It can be a great joy to have houseplants thriving in your home. No matter how many plants you may have killed in the past, you’ll soon be a successful houseplant gardener when you choose plants that don’t mind kind-hearted abuse!